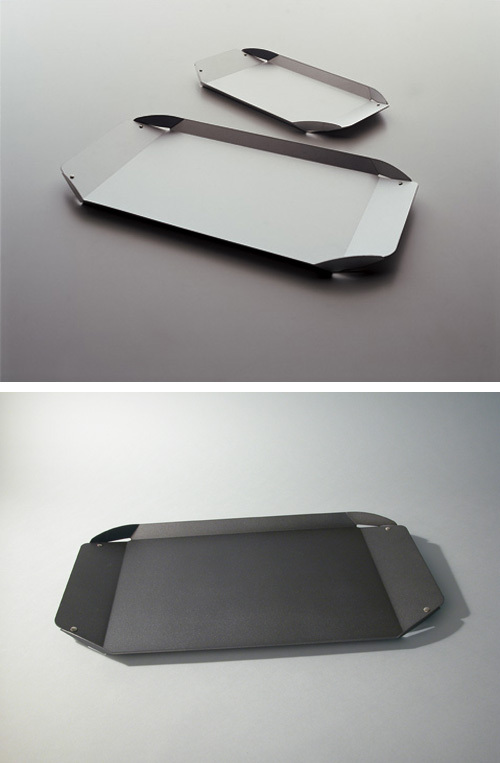 Elisabetta Serving Tray: designed by Enzo Mari for Danese Milano, Italy. A stylish serving tray that lends itself well for breakfast in bed on a lazy Sunday morning. Available in two sizes and two finish options. Danese items can be found in museum collections worldwide. Special order, ships as soon as possible.